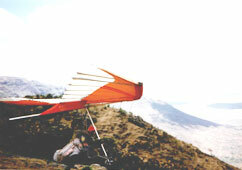 HANG GLIDER, TYPE "RACER III"
The Racer III is an evolution of the early series of RACERs. 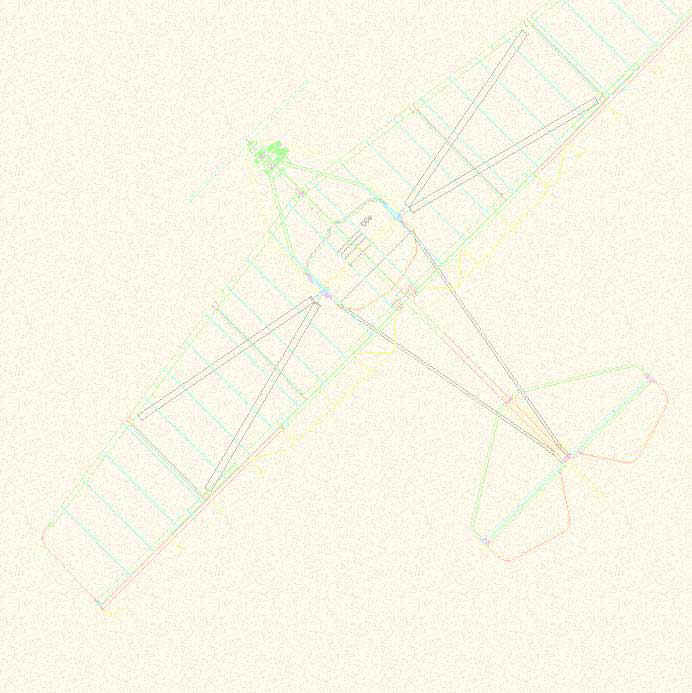 We have introduced a number of modifications both in the sail (complete remoulding of the wing tips layout) and in the structure (change of profile in the wing tip area, readjustment of the overall tension). These changes have dramatically improved the handling and generated a slight increase in performance as well. We have also introduced plastic moulded fittings to improve the finish. In spite of its high performance, the "RACER III" remains a very friendly wing; handling in thermals is comfortable and its excellent landing ability allows the pilot to negotiate safe approaches in hostile environment. These two qualities combined with an excellent glide at high speed will encourage a pilot into cross country flights he would never have dared before. Best Sink Rate 0.9 m/s. !! FOR EXPERIENCED PILOTS ONLY ! !